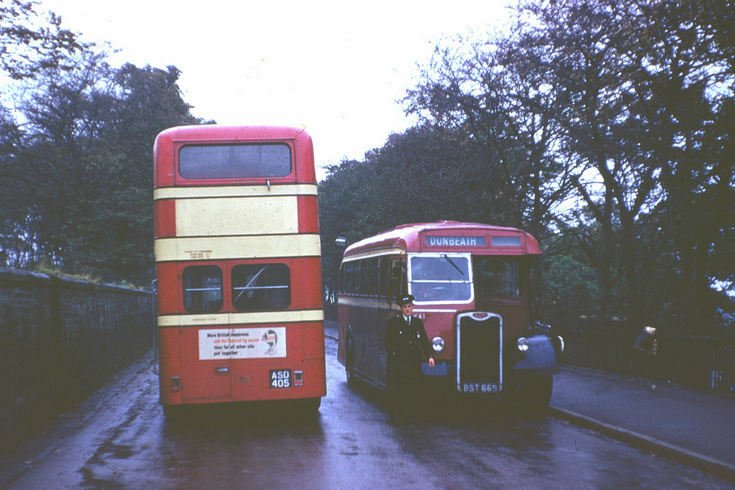 From the Sinclair collection, a colour photograph of single and double deck Highland buses in Wick. The double deck bus has the registration ASD405 and the single deck bus registration BST 669 with destination Dunbeath. The driver of the single deck is standing in the road in front of his cab. possibly the bus had suffered a breakdown and he was directing passing traffic.